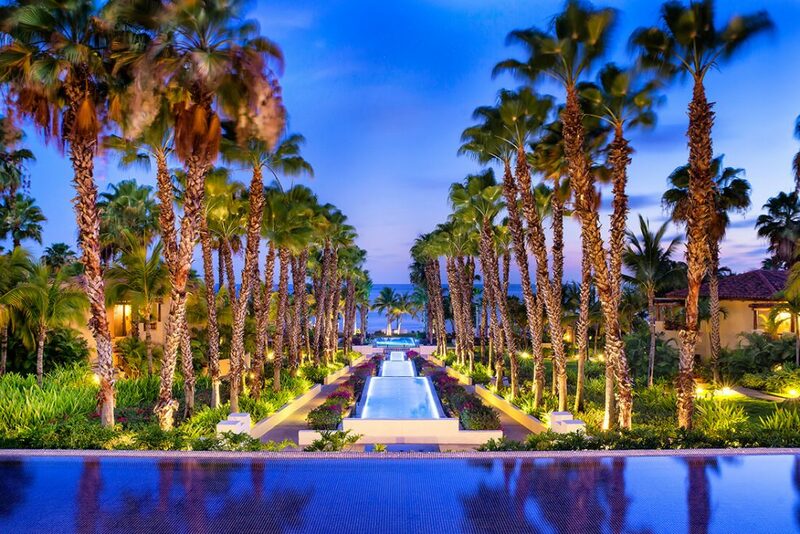 In the exclusive gated region of Punta Mita at the southern tip of the Riviera Nayarit coastline, sits the leafy St Regis Punta Mita. The twenty-two acres of green headland have the feel of a very intimate, boutique resort, as carefully manicured flora provides screens between accommodations and little pathways allow guests to wander – or be ferried by golf cart – between the range of facilities. What’s more, every room has access to the St Regis butler service, through which a dedicated team make every effort to accommodate your wishes throughout your stay. 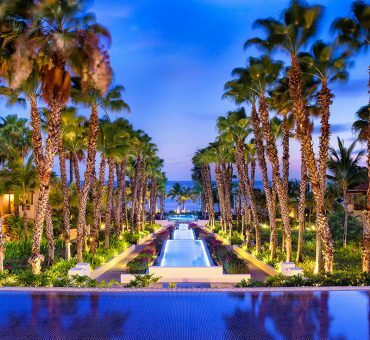 On arrival at the St Regis Punta Mita, we were welcomed by a cool drink (margarita, natch) and were quickly and conveniently checked in and shown to our suite. 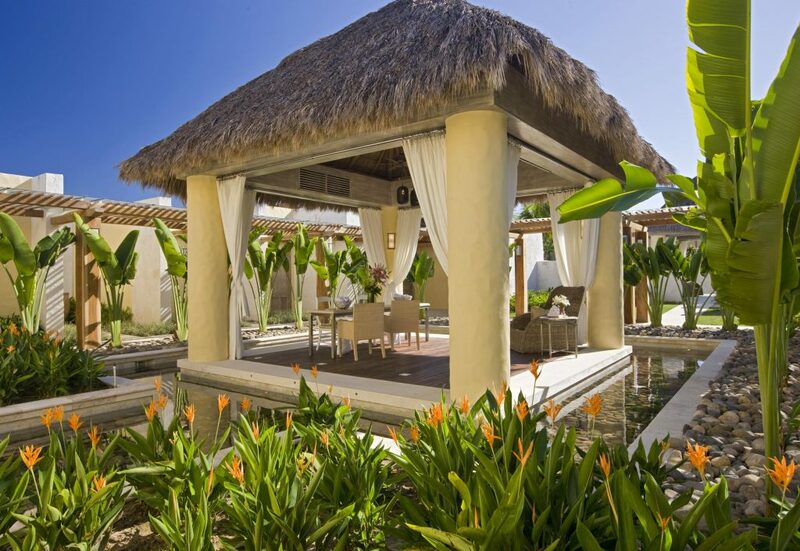 Traditionally Mexican tiled floors and wooden ceilings added a touch of the rustic to an otherwise clearly high-end design, while runners provided a flash of colour. The room was spacious and cool, with divinely comfortable beds and all the necessary technology. In the bathroom, there was an option of indoor wetroom, in which also stood a large bathtub, and an outdoor shower within a small courtyard. Delicate fresh flowers sat atop the piles of towels and a delicate smell pervaded. The showstopper, however, was the ocean view. Nothing stood between our balcony and the sea, so we both stood for a few minutes breathing in the fresh air and admiring the palette of blues that coloured the panorama. 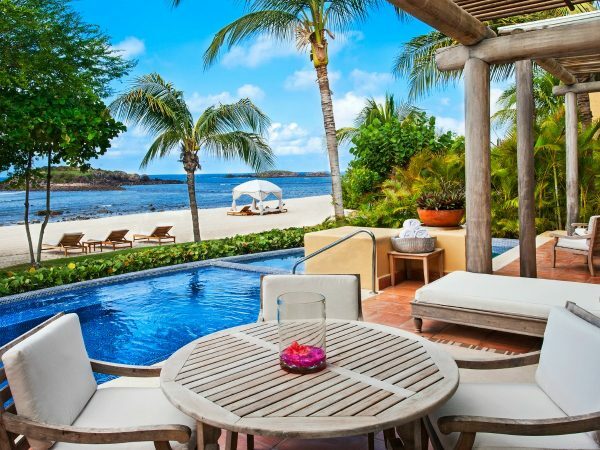 Around us, some palm fronds overhung the balcony, but there was a daybed that benefitted from sun from midday onwards. 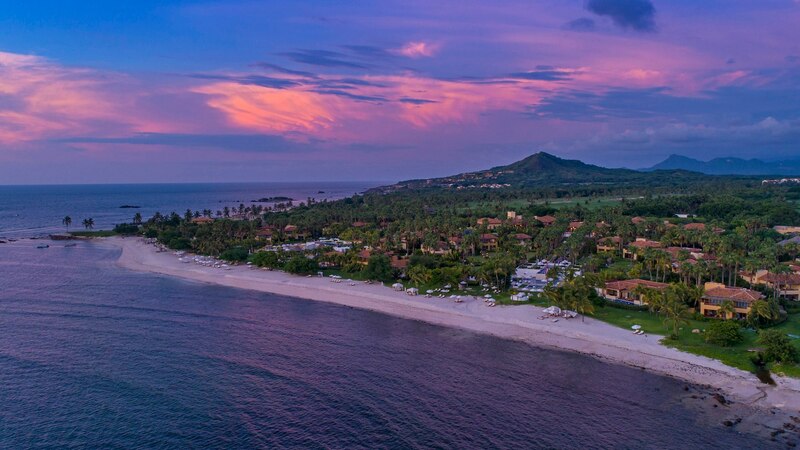 We were primed for an Instagrammable sunset, as well having the soothing rhythm of the waves to lull us to sleep. 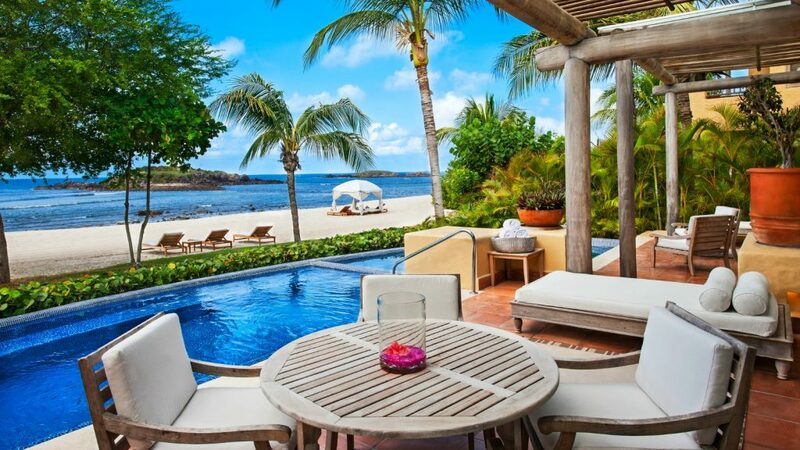 The balcony also made a perfect place for breakfast; by making a late night selection on a menu and hanging it outside, our butler – Juan – would bring a whole array of items and lay them out while we sat at leisure in our bathrobes and sipped fresh coffee. 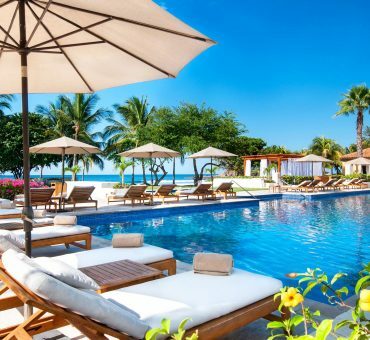 As well as the three infinity pools, two nearby Jack Nicklaus golf courses, fishing, diving and tours available, the St Regis Punta Mita offers a full spa by Remède. Having signed up for a couple of treatments, we took the short stroll to the expansive spa building in the late afternoon. 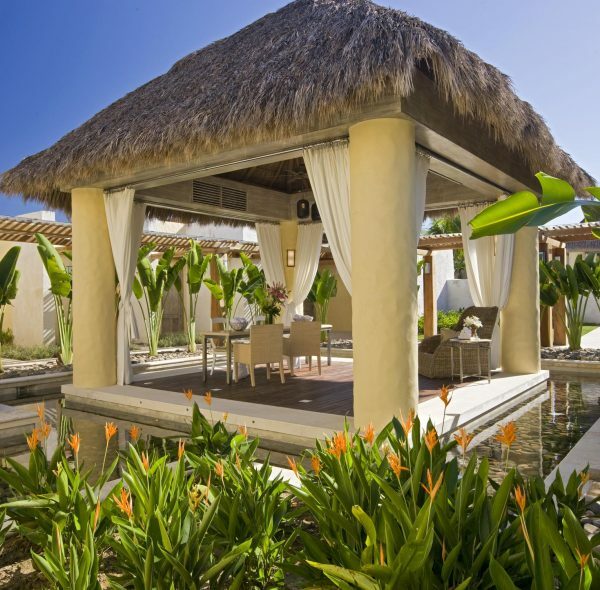 In the reception area, natural materials have been used to create a relaxing atmosphere; light, cool drinks were served while we filled in the requisite forms and then Charlotte was whisked away to a massage that she later described as heavenly. Always intrigued by new experiences, I had chosen a treatment that was more unusual: the floatation tank. The tank looks like a prop from a sci-fi movie; it is a large misshapen white egg that opens horizontally, half-filled with extremely salty water, sitting in a dark room with just a shower and some speakers. The experience was explained to me and then I was left to get naked and reverse-hatch into the bizarre pod. The experience is intended to give the feeling of weightlessness as you float on your back in the pod, listening to music for fifteen minutes and then silence for a further forty-five. The experience is not for everyone – avoid if you’re claustrophobic, if you have any recent cuts or injuries, if you don’t like darkness, if you get bored easily… The feeling of weightlessness is very pleasant and there is something womb-like about the pod, so a bit of meditation or mindfulness can enable you to access a very relaxed state of mind. I didn’t last a full hour before I felt it was enough, but many people rave about the benefits for your musculoskeletal system and for your mental health, so if you do get a chance to try it, why not? The following day, we determined to do something rather more exhilarating than relaxing. 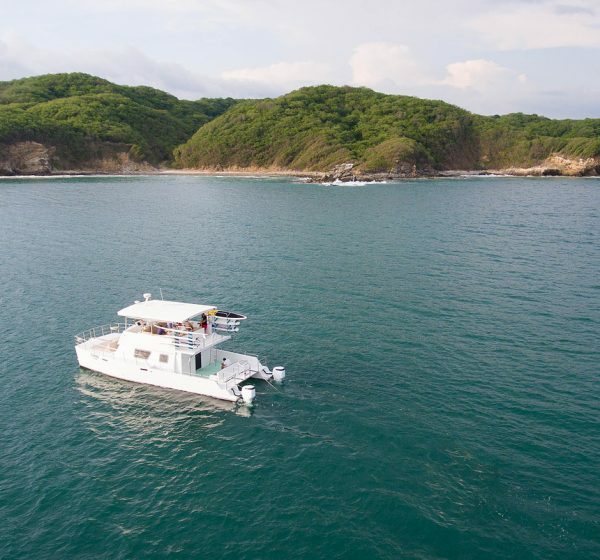 Punta Mita Expeditions is a tour operator serving the peninsula and will bring a boat right to the beach of the St Regis Punta Mita to collect customers. 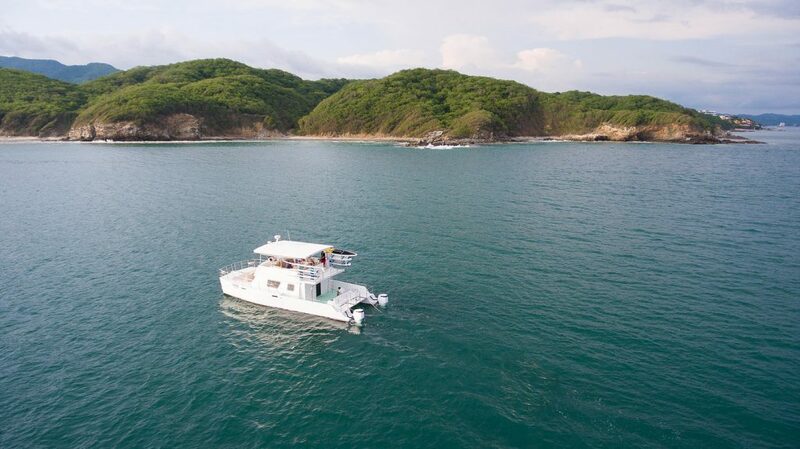 We had opted for a Marine Safari excursion which took us to the local Marietas Islands, which are a protected nature reserve a mere thirty minutes from Punta Mita. We began with some birdwatching; some of our ticket cost was a contribution towards the conservation of the islands because they are one of the only nesting sites for the adorably shod blue-footed booby. We followed this up with a little snorkelling alongside the island and some paddleboarding, which was quite a challenge in the gently choppy waves! 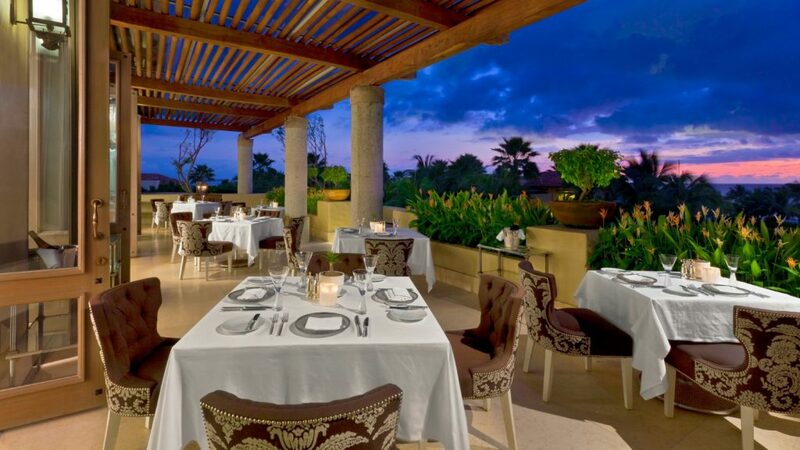 Our final dinner was one of the highlights of our trip to Mexico. 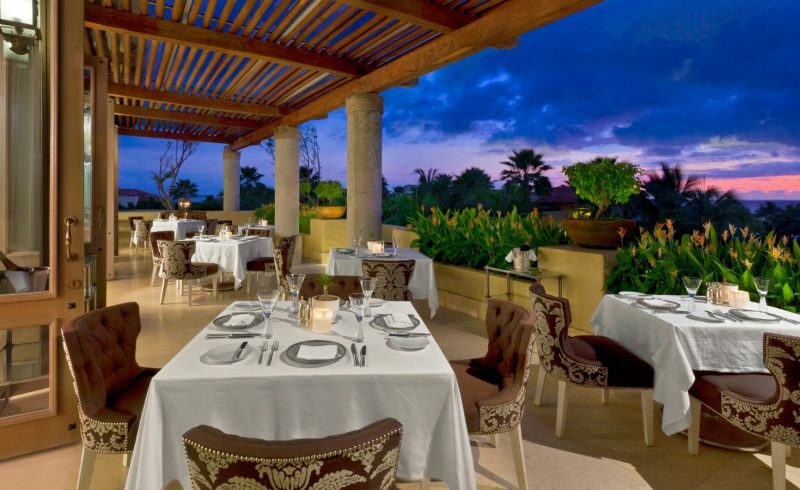 The St Regis Punta Mita has several restaurants, including Sea Breeze, where their speciality is juicy steak finished at the table on a solid block of Himalayan salt. Our favourite was the fine dining restaurant, Carolina. After the cutest dough balls, courses included the freshest baby squid in black ink sauce of rich umami, a refined version of the local speciality zarandeado fish, and an epic duck magret with nut puree and grilled peaches. Mexicans definitely have a sweet tooth and it was in the sweets that this restaurant really shone, providing a dark chocolate fondant with cream and a beautifully constructed cookie cage, as well as petit fours of sweet nutty paste sandwiched between two wafers – a perfected version of the sort of sweets one can pick up from street vendors (I’m ordering a shipment of these ASAP! ).